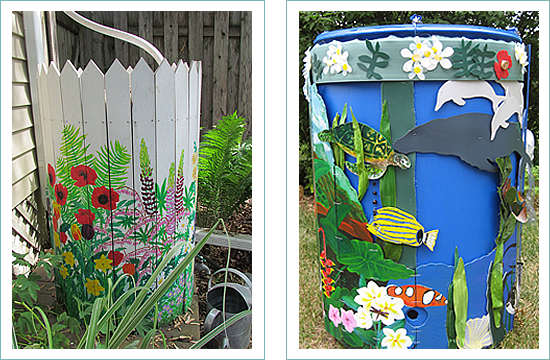 re you interested in conserving water but don’t want an ugly barrel in your yard? A custom decorative cover will solve your problem. 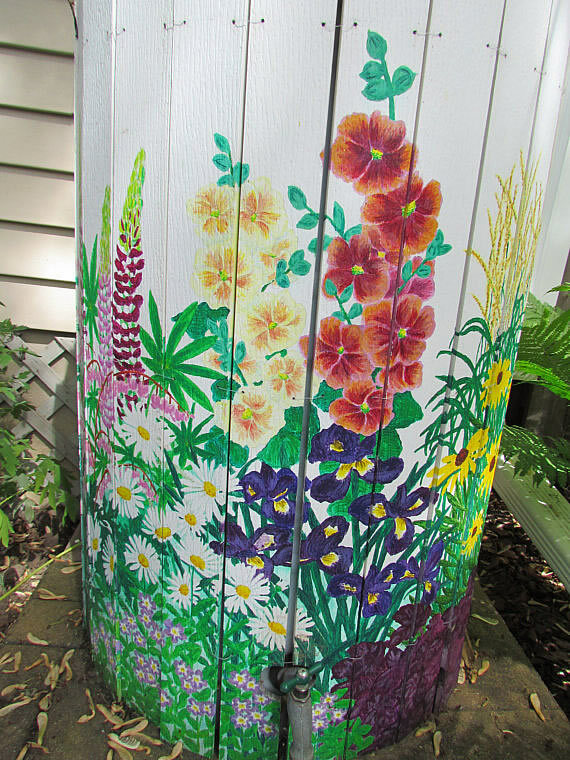 The examples shown include Wisconsin Wildflowers ranging from Spring to Summer to Fall as you look around the barrel, and a Hawaiian theme. 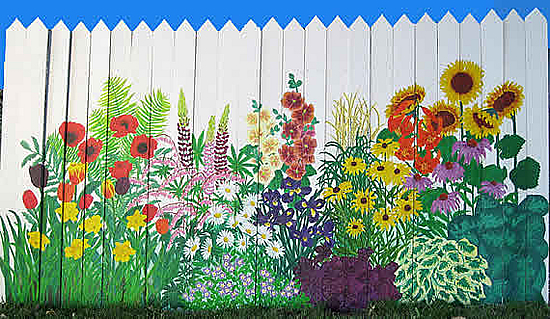 Covers can be customized with any design including floral themes, birds, wildlife, etc. 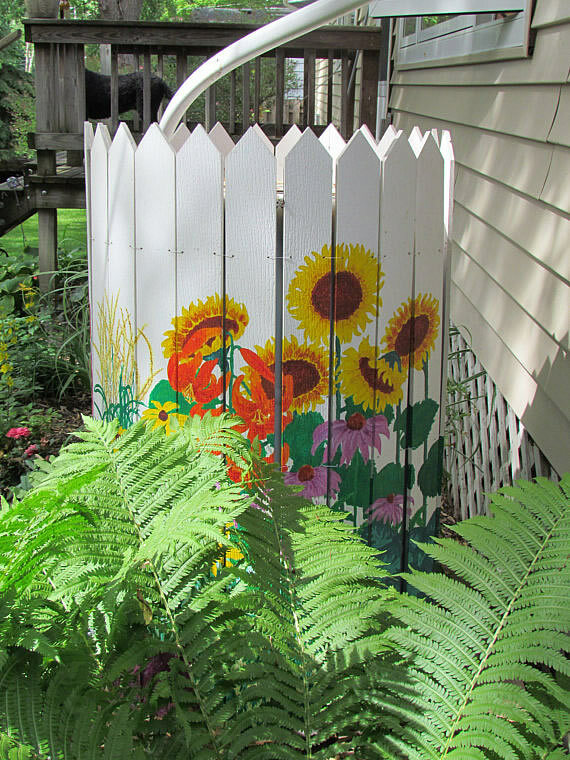 Similar covers can be ordered to disguise other items such as alternate size and shape rain barrels, air conditioners, garbage cans, recycling containers, etc. The cover is made of plastic wood so will never rot. 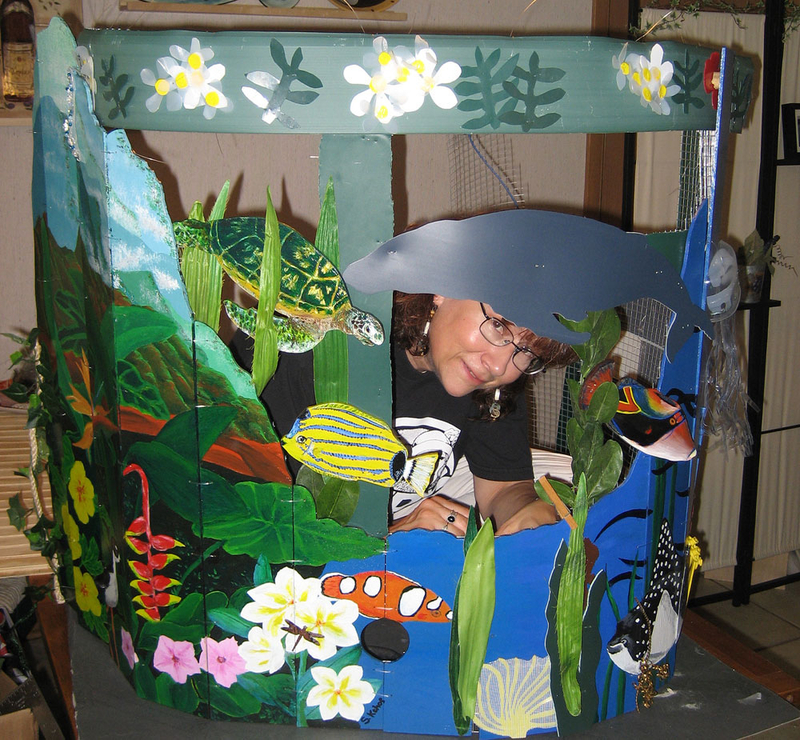 Nontoxic acrylic paint is used, with a finishing coat of nontoxic UV varnish. Individual slates are held together with fishing line. 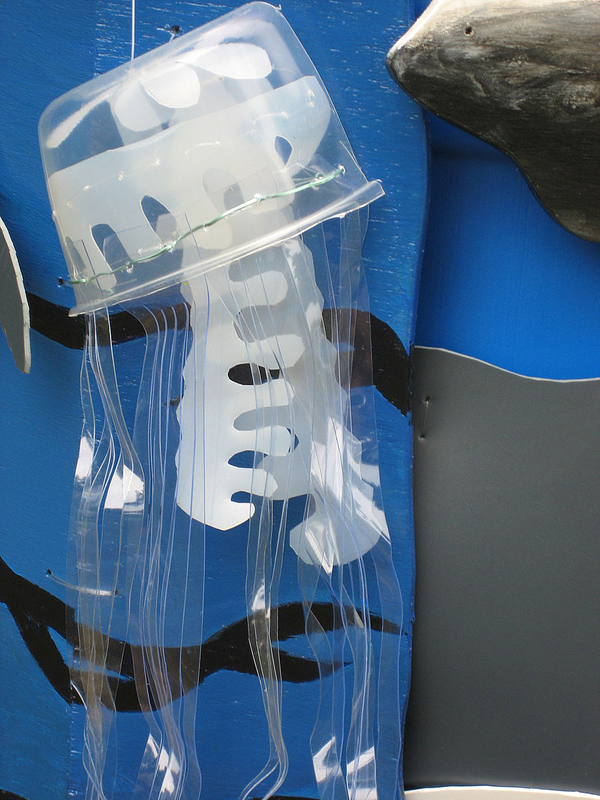 The cover wraps around the barrel, attaches with two chest latches in the back, and is removable for storage in areas that experience winter. A storage bag with handle is included with each cover. 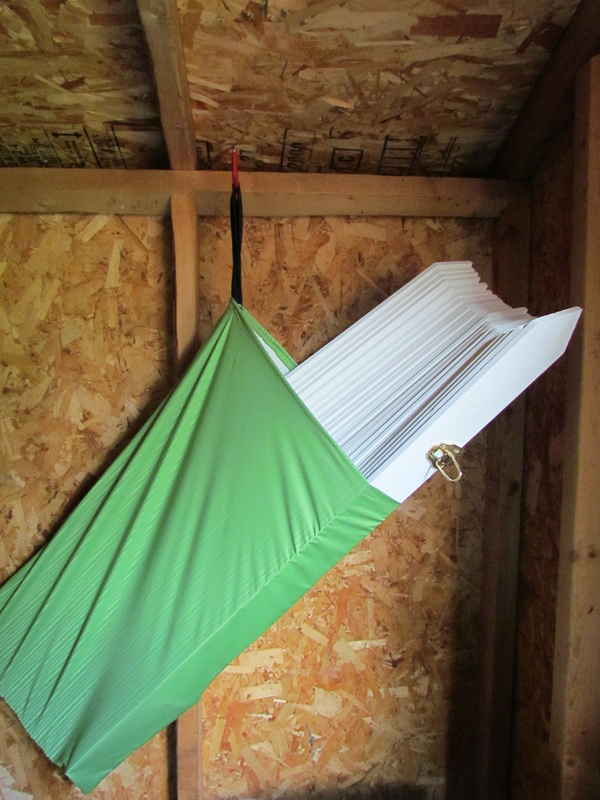 The cover folds up accordion style to 3” x 9” x 39” so needs little space for storage. 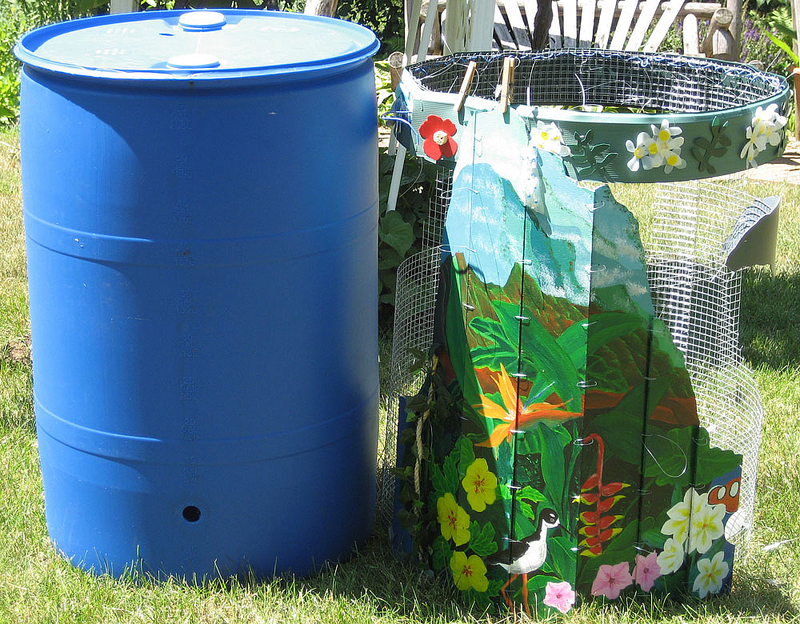 The cover wraps around your 55-gallon rain barrel and rests on a platform. I use 7.5“ x 15.5” bricks stacked eight high for a height of 13“. This works well for fitting watering cans under the spigot. 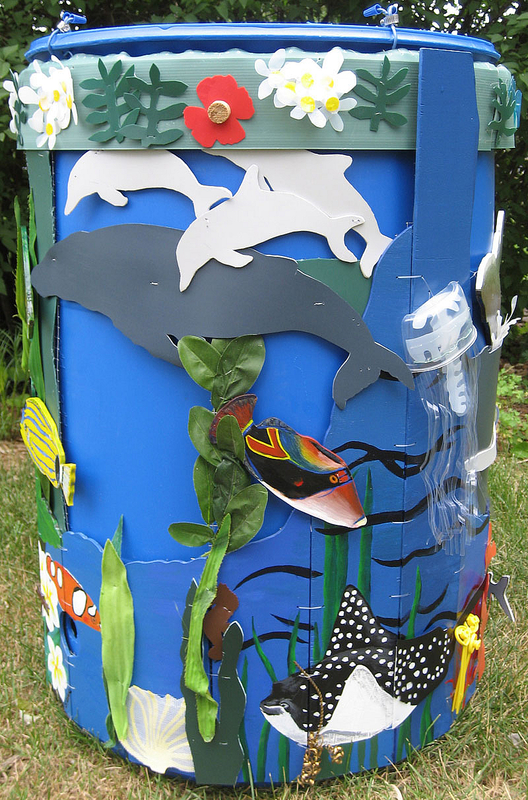 The Rain Barrel Exhibit & Auction was sponsored by the Madison Museum of Contemporary Art and Sustain Dane (a non-profit organization committed to creating communities that deeply enjoy, care for and are sustained by their unique environment). I was lucky enough to visit Hawaii, and brave enough to go scuba diving there. It made me realize how much the entire environment relies on water. The ocean is never far away, and the rainiest place on earth is in Kauai; Mount Wai'ale'ale with an average of 440 inches of rain per year. 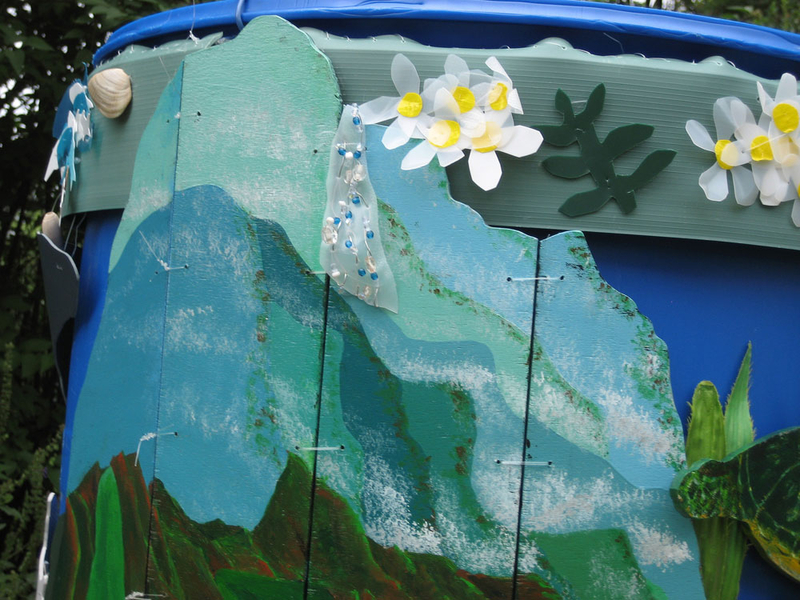 Hawaii became the theme when applying for the Rain Barrel Exhibition. 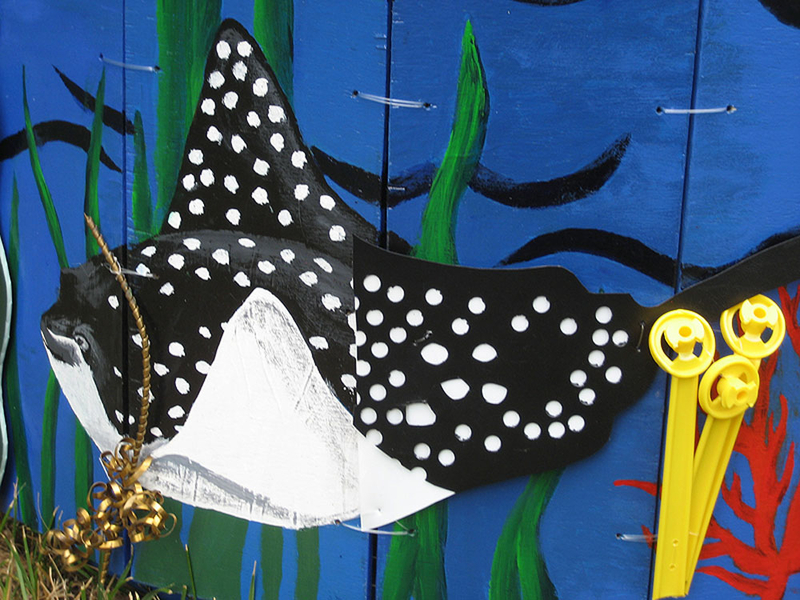 The project presented many challenges as artists were to use environmentally friendly materials, and the final product was to be both functional and weather resistant. I am very concerned about environmental issues including global warming, and hope projects like this initiate interest and conversations about possible solutions. 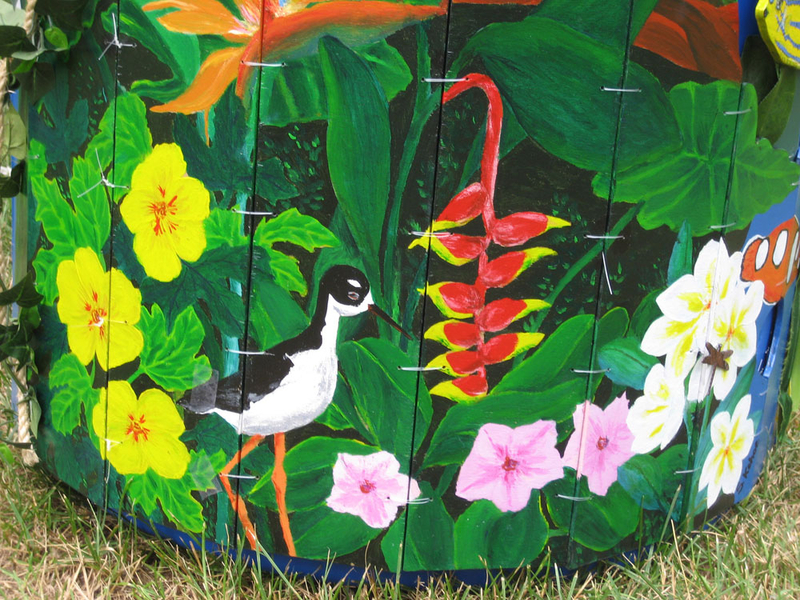 You will see the following Hawaiian themes used in the design on the rain barrel: State tree flowers (Candlenut / Kukui), state flower (Yellow Hibiscus / Ma'ohau hale), state fish (Reef triggerfish / Humuhumunukunukuaoua'a! 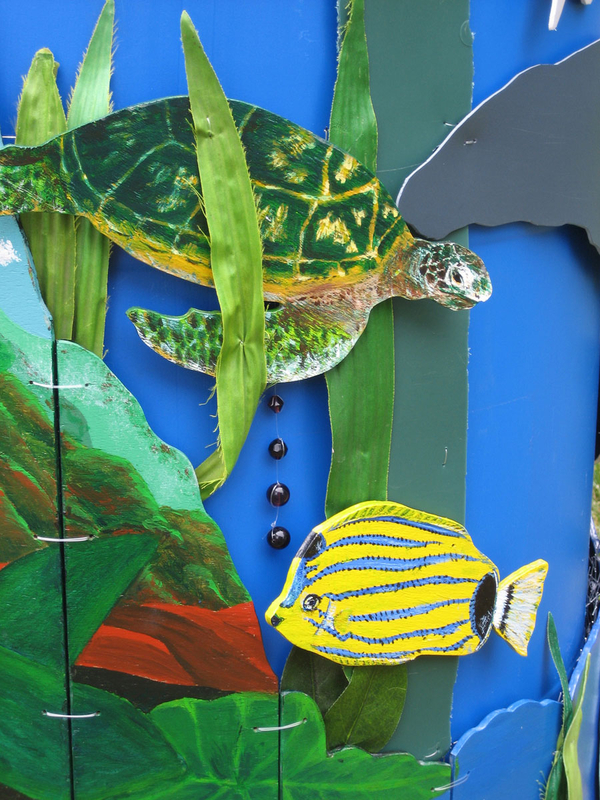 ), state marine mammal (Humpback Whale), Whitetip Reef Shark, Spinner Dolphins, Green Sea Turtle (endangered), Spotted Sting Ray, Hawaiian stilt (endangered bird), fish (Blue striped Butterfly, Coris gaimard), native flowers (Plumeria and Beach Morning Glory), introduced flowers (Heliconia and Bird of Paradise), Taro plant (used to make Poi), and volcanic mountains (Na Pali on Kauai). 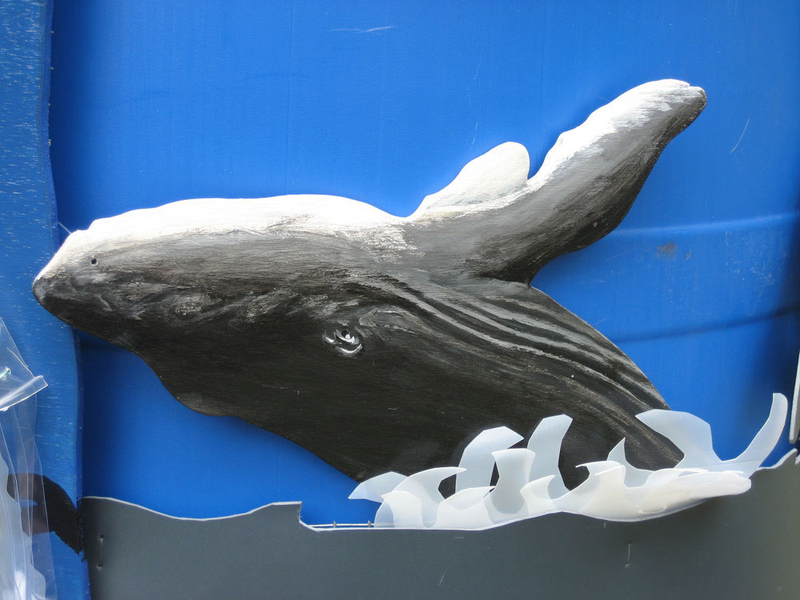 No glue was used to connect the materials, only fishing line. 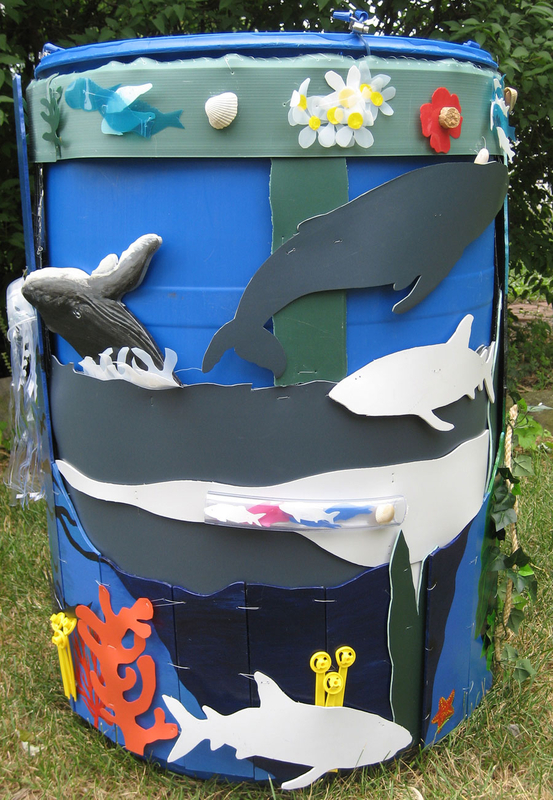 My Customized Rain Barrels are available on Etsy!